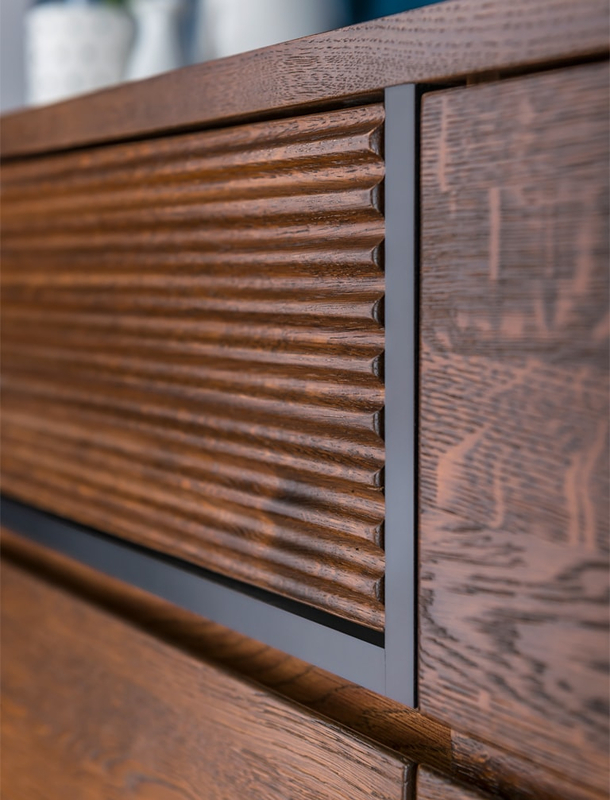 Each house is unique, just like every centimeter of wood which Bellis collection furniture is made of. These unique projects combine the beauty of nature with elegance and contemporary design trends. Black details emphasize the subtle charm of wood and add a unique character to the elements. Are you dreaming of making your home an oasis of tranquility that fosters relaxation in the loneliness or with family? Optional lighting will allow you to insert a positive energy stream into each interior. Because happiness begins in your home. Moments spent in the comfort of your own home require a suitable setting, so enchant your loved ones with special arrangements. 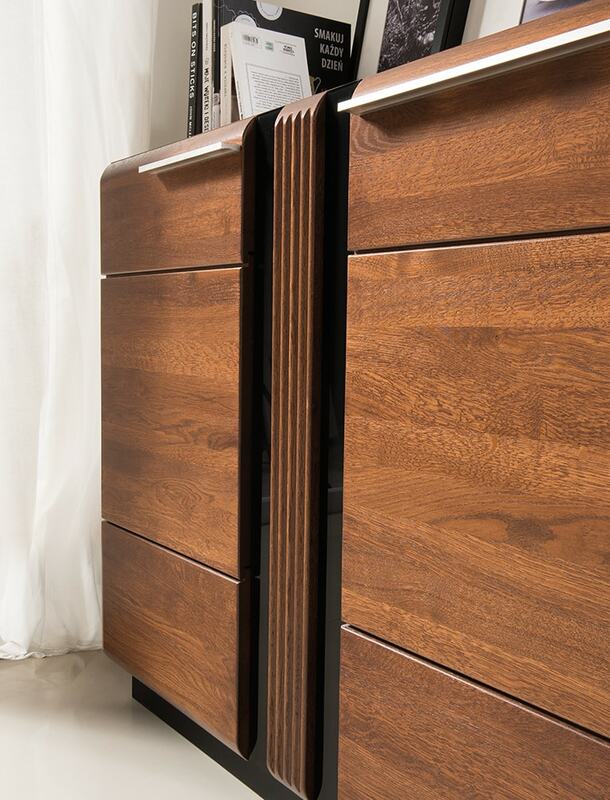 Bellis furniture collects the unique charm of solid wood, which is highlighted by black inserts. Surround yourself with the uniqueness, and let yourself materialize your images of beautiful arrangements. The ribbed element brings out the individual character of the elements, so you create an unmatched interior. The moment of relaxing after a hard day in the comfort of your own home is one of the most pleasant moments of the day. 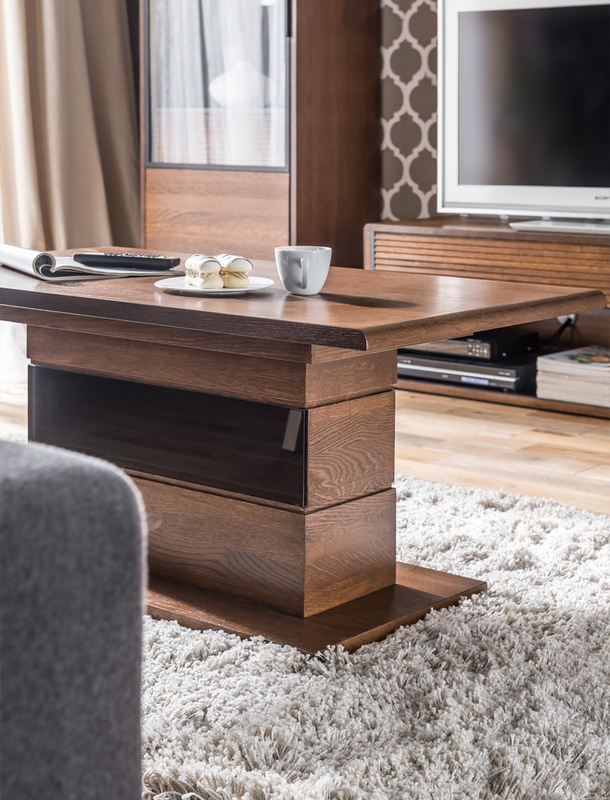 The Bellis's coffee table is a place where you'll be happy with a cup of coffee or a meeting with guests. Do you know which form of relaxation you will choose? You will also find cupboards, glass cabinets, shelves, coffee tables, chests of drawers. You will find here a wide selection of: cupboards, sideboards, shelves, tables, etc. Porti furniture is a project where the charm of the oak wood has been invented. Black glass inserts and riveted elements emphasize the unique style of the collection, so that each arrangement will be unique. The metal handle and frame adorned with glass elements bring out the beauty of natural materials. Optional lighting turns your interior into a relaxing place. Porti collections will allow you to celebrate every moment spent in your home. 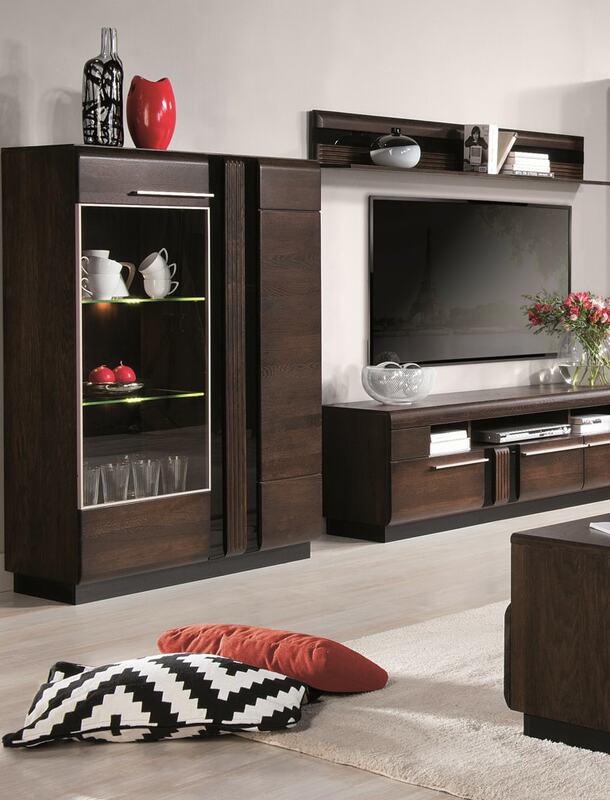 Choose furniture designed for your needs! Looking for projects that look unique with unique details? The rashed element decorating the furniture of the Porti collection will surely draw the attention of connoisseurs of unusual design. The light elements perfectly expose the natural texture of the wood, and the use of the sensory switch will provide the highest comfort. You will turn off and turn on the lights when ever you want to. 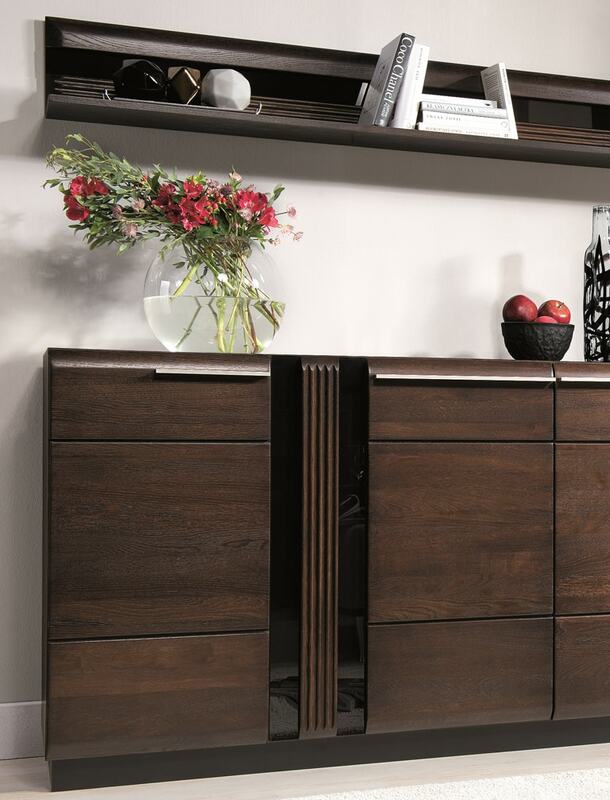 We know you like the ability of choice, so the Porti collection is designed in two colors. 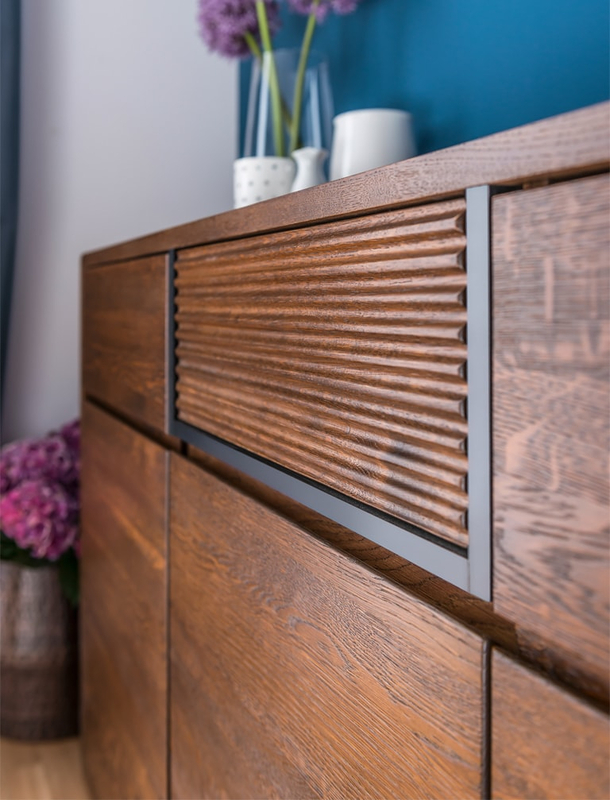 The antique oak is a proposal for those who appreciate the subtle color range, while the chocolate oak will appeal to those who like expressive colors. Do you know which of these options will work better in your home?